AKB48/SKE48 member Jurina Matsui as the young woman. If you just want to listen to the song right now, here is a link but it is not the AKB48 video. The links to the video are at the end of this post. 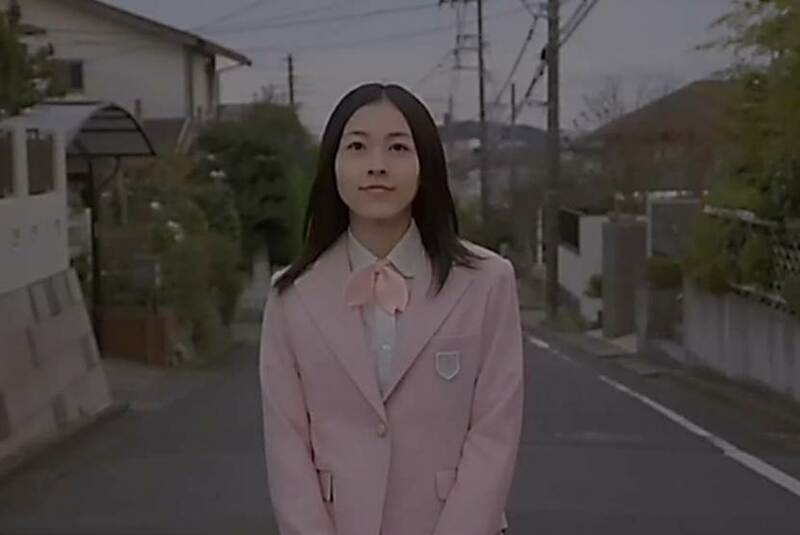 In this music video/film drama, Jurina Matsui portrays a high school girl who was tragically killed on her graduation day. 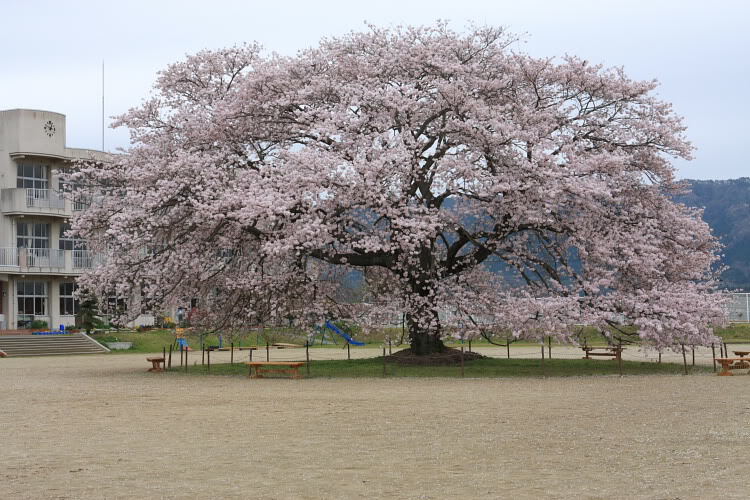 Her spirit is connected to a cherry tree (in Japanese: “Sakura”) which grows in the schoolyard. The video begins in a Japanese graveyard, several years after her (Jurina’s character) death. Five friends of the departed Jurina are played by: Atsuko Maeda (as Jurina’s best friend, and now an office worker), Yuko Oshima (portraying a single-mother), Tomomi Itano (is a restaurant worker), also Haruna Kojima and Minami Takahashi (are college students). They have returned to their hometown, and are visiting the grave of their deceased friend. They burn incense and bring fresh flowers to the grave stone marker which contains Jurina’s cremated remains. It will be seen later that Jurina’s spirit has been watching over, and influencing each of her friends. One sees some aspects of Buddhist/Japanese culture here. Burning incense is a tribute to the dead. You also see the long wooden sticks compiled near the gravestones. These sticks contain markings for the deceased written in Kanji script. They function as “antennae” which draw the visiting spirits of ancestors to the gravesite. A typical Japanese grave is usually a family grave consisting of a stone monument with a place for flowers, a place for incense, water in front of the monument, and a chamber for the ashes. At the start of the video, Yuko is pouring water. She is also talking on a cell-phone. That is not disrespectful, as far as I know. The girls do seem troubled. It is Atsuko who is the saddest. You would have to look closely, but some grave stones have multiple names on them. They were carved all at once on the stone, and the names of those still living are colored red. The red is then removed when that person dies. It would be a very sad thing indeed if a child’s name is uncovered first. The girls are back in their home town, to visit Jurina’s grave and to visit her parents, and their old school. Atsuko is still in a funk, missing her best friend. This is not a happy trip for her. They visit Jurina’s parents, and have a good visit, recalling happier times . Everyone is all smiles and happy at first, despite the sad circumstances (“Hey Koji-chan, good luck with those exams” and “Ac-chan, how’s that new job working out?”) The girls walk away – bowing and smiling (these are a very polite and respectful people), and promising to visit again. Whenever the parents see the group of friends, it is like they are also seeing their daughter. As the girls walk away, the parents see/remember their daughter and reflect on the day she died. They recall how she looked as she ran off to school – the last time that they saw her alive. To me, the most poignant moment happens after the girls walk away. The ghost of Jurina puts her father’s hand on her mother’s shoulder. Jurina’s spirit is inferring that “I’m gone … but I still want you two to keep loving each other”. For whenever an only child dies, what reason is there for a couple to stay together? The girls walk along through their old neighborhood, and pass a busy street with a tight corner. Is this where the accident happened? There are memorial flowers marking a spot where someone was hit. A bent-over old woman crosses the street with a cart of groceries. Her items fall and roll away. The other girls quickly help out and pick up the old woman’s groceries. IS THAT HOW IT HAPPENED? Did Jurina die trying to help someone across the busy street? Watching this you see the cars whip around the blind curve in the road. (Also they drive on the “wrong side of the road” in that country!) I was watching this thinking — Look out Tomo-chin!!! That’s a dangerous curve!!! She nearly walks into one – the silly girl. Yuko is an overwhelmed single mother, taking her little girl to a park. It was Jurina who convinced Yuko to keep her child. Times would be tough, there would be difficulties. Yuko looks on from a bench. The little girl, alone on the swing set calls out: “Push me Mommy”. Jurina’s ghost stands behind the child, and although physically not able to push, she mouths “yeah, push me”. Yuko comes through for her daughter. Jurina looks down upon the toddler girl playing on the swing-set, and she definitely APPROVES. Tomomi is some type of slacker-youth I guess. She is not a hopeless NEET, or an otaku, but it does seem that she is just biding her time, working in a restaurant … waiting for real life to start. I’m not really sure exactly how Jurina influences Tomo-chin here. Jurina taps her on the shoulder – I guess to get her head out of the clouds for when the big opportunity arrives? Atsuko has a job in an office. Unfortunately, her work is not too exciting, and she seems disappointed. She is just an “office girl”. Her job is to fetch teas and hold these little company parties every afternoon. (It is always someone’s birthday or retirement.) She takes a break and sadly drinks a strawberry milk (a very popular canned beverage in Japan), while a rooftop badminton game goes on. (Another efficient Japanese use of recreational space atop an office building!) Atsuko misses her closest friend. She and Jurina had big plans in high school – they were going to conquer the world together. Now Atsuko is alone and stuck in this dull job. The spirit of Jurina looks on. Ready to leave this existence, she leaves one more part of her essence behind. A cherry blossom petal. Atsuko is distracted by the cherry blossom petal, retrieves the stray shuttlecock, and now she, and Jurina, know what to do. 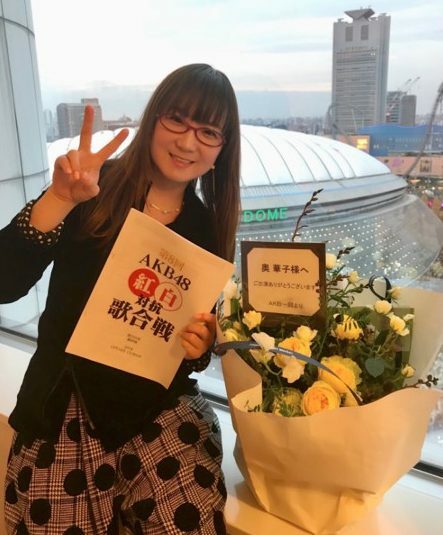 “Sakura no Ki ni Narou” is one of the most beautiful songs that Mr. Akimoto has ever written for AKB48. As I paraphrase the lyrics from Japanese, the young woman’s spirit is now part of the sakura tree, and hopes that the girls will return to her “whenever they need to feel loved” … “ even if her petals will fall, my branches will be extending out like arms” … “ no matter what happens, if one is trouble, the eternal cherry blossom tree will always be there”. Jurina has finally “graduated” her former life … The last scene is of the friends walking away, back to their own lives. This is the suggested link: It is good quality, and is from a Vietnamese entertainment website., although sometimes it might not load very fast. This is a lower quality, but maybe easier to play version. Note that you do NOT have to be a member of Facebook to see the video. This is fairly low quality however.